It is most compelling to recollect those early days when I discovered the Baha’i Faith and basked under the immense mercy of Bahaullah. Simply put, those were the moments of immense happiness never to be repeated. I had always had an interest to know about religions. My father was well- versed in the Hindu scriptures. As children, he used to line us all up in front of the pictures of the various deities kept in a prayer room. He will make us chant prayer after prayer in the Sanskrit language for almost an hour everyday. I did not know the meaning of the words but I used to enthusiastically chant them loudly.I can still recollect some of the prayers to this day. I went to a missionary school. My father had this obsession that his sons must go to the St. Paul’s Institution while his daughter’s to the Convent school. I was basically brought up to question everything, and would not blindly accept anything until my mind was totally convinced. One could imagine the trouble I got into when I questioned my father about his religious beliefs, and especially the rituals that seemed meaningless to my inquiring mind! Not to mentioned my teachers in school. On the one hand we were taught to question and reason things out. The next minute I was told that I “talked too much”.Quite confusing actually and in retrospect, laughable! So I had to attend catechism classes. I used to follow my friends to the nearby Church of our Lady in Paul’s Street. I even went for ‘Holy Communion’! I did not know the significance, but so what? My classmates went, so I went along for the fun of it! During recess, I used to go to the school’s chapel to pray. I was just attracted to the quiet and calmness of the chapel. I used to stare at the Virgin Mary. No prayers but just stare…. I felt calm after I go there. Back in my house my brother had a small library of story books in his room. When he left to join the army, I ‘inherited’ his room.I am a voracious reader. I used to spend much time reading in the library.I had read almost every book in the room …Shakespeare, Enid Blyton, Ian Flemming, ….Perry Mason and an old copy of the Bible. Now that Bible was fascinating as it opened a different kind of world.I took up Religious Knowledge in school where I became well versed in the Bible according to St Luke.I liked to read the Bible. At one time I wanted to become a “Brother”!I used to disappear into the world of fantasy. I imagined I was present at the time Jesus was preaching His message of hope to the world and I was happily embracing His teachings! I scorned the Pharisees and the priests who refused to accept Him! My imagination used to grow to be quite colourful at times! Somehow I felt something was missing. I never did mention this to anyone but in 1969, In my dreams, I had flashing visit that was gone immediately. I saw the face of a turbaned, white bearded old man. He had an aquiline nose and such piercing eyes! I was afraid to look into his eyes- eyes that seemed to look into your very soul. But then he smiled at me and vanished. I never paid much attention to it though. My friend’s invitation to go and inquire about this new Baha’i Faith made me follow him.I was actually piqued when he asked me to go along to ‘see’. It was after the examinations when we were quite free.One day, we both cycled to the Baha’i Center in Loop Road. The first thing I saw was all the beautiful paintings by Uncle Yankee Leong. Then among them I saw the ‘Face’ that had appeared in my dream! You can imagine my shock! But as a typical teenager, I shrugged it off as a possible coincidence. There I met Pauline de Cruz and when we inquired she explained a little about the Faith. I spoke to Uncle Yankee Leong as well. We then went home. My friend did not go after that but something compelled me to keep going back. Every time I went to the Baha’i Centre a feeling of happiness came over me. So I kept going back… and kept asking a lot of questions. The Bahais were patiently explaining to me. Things started to become a little clearer. I met a few youths like Seetha Ram, Prasad, Bornoh Dass, Joe Nagendran, ‘Big eye’ Maniam and Sri Krishnan. I also spoke to elders like Uncle K. Rajah, Nit Singam and Vishnupatham. I started to read the simple pamphlets and went on to read the basic books like ” Bahaullah and the New Era” and “Paris Talks”. These books gave a different perspective about religion being progressive and provoked my thoughts further. It also reinforced my prior belief that God is One and the teachings of the various religions were from the same source. I felt it was man who had used religion to divide us not the other way around. While reading the Baha’i books available at that time, I found references to other religions; so to get a better understanding, I read the Bhagavad Gita, some teachings of the Buddha and of course about Christianity. Later on I managed to get an English version of the Al Quran by Momammad Marmduke Pickthall. I became more fascinated and almost obsessed in my ‘Search”. Then I re-read the Bible and this time I saw it from a totally different perspective. What was literal became just parables, examples and analogies that were used to emphasize a point. After doing a comparative study of religions for about six months I began to see a pattern. The Divine Laws were the same but the social laws kept changing. Some were enhanced and some were abrogated, while new ones were introduced. It was very logically sequenced and it appealed to my intellect.I could see that religion was indeed progressive and the Prophets were the Teachers sent by God to educate us as and when He saw fit! I learned about religions coming from the same Source at different times to suit the needs of the people of that period. Now, what can be more fascinating than that! I was born anew on 12 December 1969, by declaring my belief in the Bahai Faith. Uncle K. Rajah, Yankee Leong and Aunty Lily Ng were on hand to wish me. I felt so good. Then trouble came. My sister somehow came to know that I had become a Bahai and told my father. All Hell broke loose! We almost came to blows. He wanted to chase me out of the house but somehow my mother managed to pacify him and we had an uneasy truce of sorts. But I continued to get involved in teaching the Faith to others whom I met. My knowledge was shallow but I made up for it with ‘blind’ faith. I was socially immature but mixing and moving around with others helped ‘polish’ me up a bit. I found myself going regularly to the Bahai Centre in the mornings. Uncle Yankee Leong would mix me a cup of Horlicks (a luxury for me) and then he would dictate replies to letters. My job was to write down whatever he dictated and post them. Little did I realise that Uncle Yankee Leong was in fact educating and deepening me in the course of dictating the letters. In the evenings I would read to Aunty Lily Ng, and she would practice her shorthand in Malay. She paid me RM 5.00 for my services! It was a wind fall for a penniless youth in those days! Soon I was giving tuition to her nieces neighbours. I was earning good money! I was studying Form 6 night classes at King Goerge V School. I had to pay RM 40 per month. The tuition money helped me to pay my fees. Sadly I did not complete my From 6 owing to lack of finance. 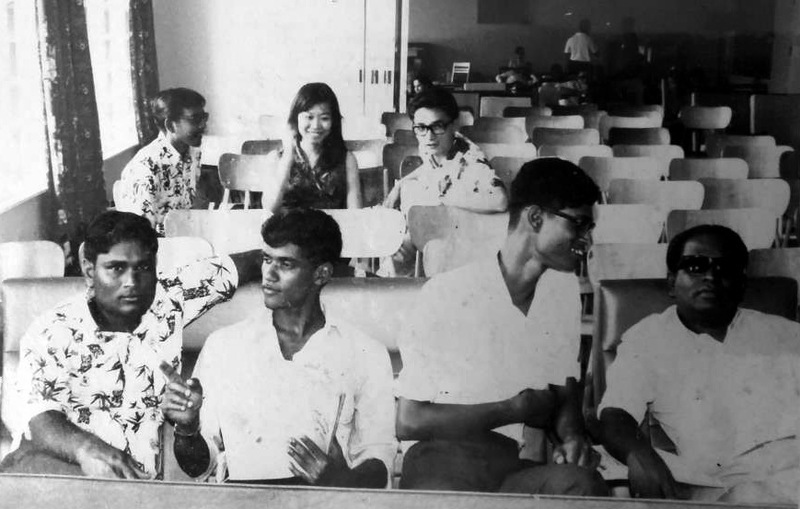 I went to the South-East Asian Youth Conference in December 1969 Singapore. Bornoh Dass and I had hitch-hiked all the way from Seremban to Singapore. I had to cut short my trip and took a train back to Seremban. My mother told me that it was timely that I had returned. Apparently my father had told her that if I was not home by the time he returned from work that day, he will disown me and ‘chase’ me out of the house! In 1970, I was attached to the Statistics Department as an enumerator for the Post Enumeration Survey. After the field work was over I was posted to Kuala Lumpur. So I came to stay with a group of Baha’is. I remember one of them as Palainasamy (Justice Palanisamy as he used to address himself). I used to go the Baha’i Centre at Setapak. Eventually I became disillusioned working in the Statistics Department as it was on a month to month basis.In 1970, I had the privilege to serve as Assistant to Inbum Chinniah at the national office.I don’t remember exactly how but I found myself assisting Mr Inbum Chinniah with the administration. My work involved reading and sorting letters, and writing down his responses.From the replies he dictated to the many letters he received, I saw his astuteness, his compassion and his great capacity to plan and execute.My raw untrained mind absorbed some aspects of these attributes. There were many meetings, conferences that were organised by the National Bahai Youth Committee, the National Teaching Committee, and the National Spiritual Assembly. In all these I played some small part in organising them. While in Kuala Lumpur I attended several Bahai Conferences, big and small alike. National Convention of 1971. I am flanked by Annamalai to the left and Chandrasekaran to the right. 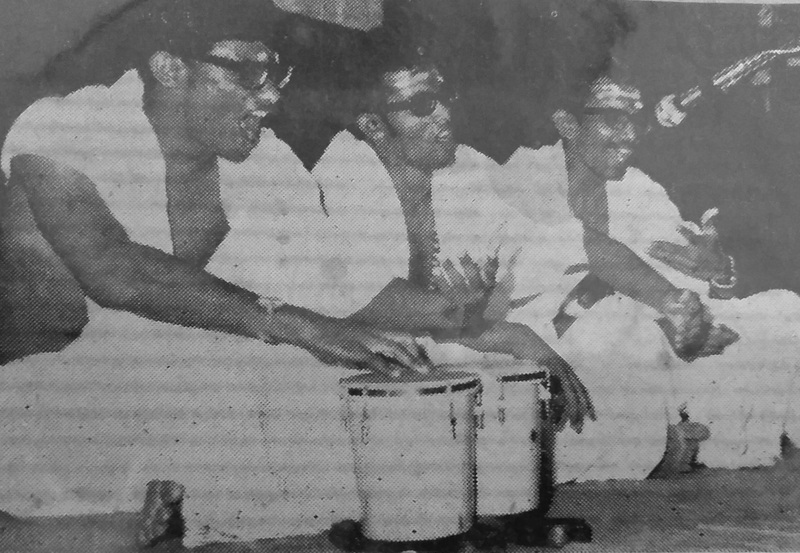 Seated at extreme right with dark glasses is Steven Manoharan. N.S.S. Silan and Yin Hong Shuen are at the back, talking to Siew Teh. 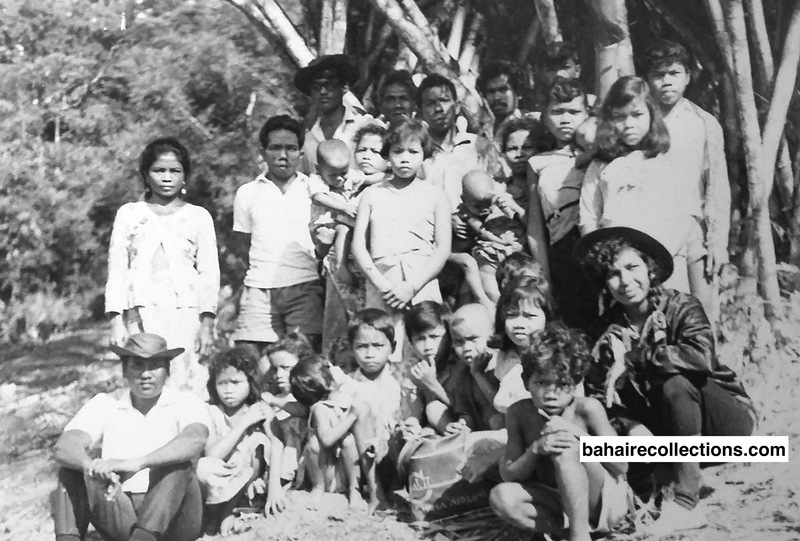 At this time I became an ‘Asli Pioneer’ under the National Bahai Youth Committee.I followed people like Kanagaratnam, Isaac D’Cruz, Selvarajah, Muthaiyah of Sungei Petani into the jungles. We entered the jungle at Trolak and came out at Tapah. I saw a new world out there with such simple folks who opened their arms to welcome us and share whatever little they had. They had intriguing names like, Bak Rokok, Bak Volvo and there was our guide, Baba. I learned to walk for 8 to 9 hours from village to village. I once asked our guide, Baba how far it was to the next village. He said “tiga rokok”. I thought, “Ok that will be close”. Then I realized what he meant. He took three puffs on his cigarette and then snuffed it out and stuck it behind his ear and took off! We followed often feeling breathless in the high altitude. Eventually his ‘tiga rokok’ took about 8 hours of brisk walking! When we reached the village, we would plunge into the icy cold waters of the nearby stream to reinvigorate ourselves and check each other’s bodies for the ever present leeches, giant ones over 6 inches long. A pinch of salt or tobacco powder (Snuff) was all that was needed to make them drop off. At the Asli Village we would have a quick meal; a short round of prayers and we will sit by the fireside and talk about the Faith, conduct Assembly Elections and some deepening sessions. I also learned how to use a blowpipe, identify some edible roots and leaves.The short stint as an Asli Pioneer has left an indelible impression about the simple lifestyle of our Asli friends and a healthy respect for them. It was indeed lovely and nice to work at the ‘Hazira’ located at 32 Jalan Angsana, Setapak, Kuala Lumpur where I met a lot of youths and older Baha’is from whom I learned a lot. There were many local and foreign visitors to the national Bahai Center- far too many to mention. I have to mention the Abeyasundera sisters from the Sinhalese background , Mona, Molly and Irene Rita, who came as inquirers and became Baha’is. They became active in the Faith. Kanagaratnam, Selvarajah, Sandrakasan and I stayed in the Hazira. 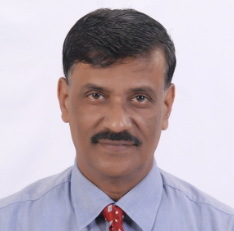 Steven Manoharan joined us soon. During moments of sadness it was Steven Manoharan who used to entertain us with witty jokes. Each day the Baha’i youth from Setapak would come to the Center after dinner and leave at midnight. We slept on the mat spread on the floor. When the corwd was bigger some of us slept on old newspapers spread on the cold floor. We used to sit late into the night talking of our adventures in the jungle, and other things that youth of our age usually did. At times we were joined by the Asli friends from the jungles who were on their way to the Baha’i Center in Seremban for their training. They felt very much to sleep with us in the Bahai center. I had very little but was very happy.We were very contented and happy there. We had very little materially but we were contended. I used to make myself useful around the Hazira. I helped print the newsletters, sweep and clean the premises. Whenever there were gatherings we had to work extra hard,cleaning the center and the compound and arranging the chairs. I noticed that the plants in the Hazira were not in good shape. We also had some of the rare orchid plants brought by the Asli teachers. Somehow I was drawn to them and soon took it upon myself to water and care for them.I was kept busy re-potting, trimming and pruning them. Inbum noticed this and gave me a small budget to buy fertilizer for the plants. At one time I was overseeing 70 over pots of plants, not counting the ones on the ground.Some friends brought some cuttings of roses, cactus etc. In fact, any plant was welcome! There was a huge cactus plant along the front fence. Visiting Bahais used to carve out their names on the plant and as the sap dried their names were permanently seen on that. Some time later the plant was cut off. We used to get free guava fruit from the guava tree that grew in the compound of the house of the neighbors, but that came with a price.The strong roots used to grow into our compound and break up the cement flooring. With out diplomacy and loving request the neighbor finally cut down the tree. Many people who passed by the Hazira have stopped to admire the plants that were healthy and bloomed well. They used to inquire about their upkeep and admire them. This was an opportunity to tell them about the Faith.When asked, I will tell them just enough to invoke their curiosity and I would ask them to talk to the other more well versed people who frequented the Hazira. There are many ways to teach the Faith! With our limited allowance we lived a thrifty life. To the right of the Baha’i center used to be a shop house where we went for our breakfast and “nasi lemak” in the beginning of the month when the allowance had just been paid. After the middle of the month we would normally patronize one Nair Food Stall on the main road and near the police station. A simple breakfast with teh tarik and roti chanai was only 30 cents. We had vegetarian lunch and dinner for mere 60 cents. We “opened an account” with him and paid at the end of the month. But there were some generous souls who were aware we were always the hungry lots. The early Baha’is will remember the house at Jalan Terkis. It was the house of Inbum Chinniah and the his wife Lily Chinniah whom we refer to privately as our surrogate mother ! She became surrogate mother to a big brood that consisted of the late S. Ravichandran and the late Govindasamy and a few others who stayed in her house. She and her two assistants, Lechumi and Swee Lan really took care of the “brood”. I can never forget ‘Aunty” Lily and her two assistants. Their unselfish generosity and magnanimity was simply overwhelming! Thank you ‘Aunty’! It was at her house that I learned to fast. I had never had such a sumptuous feast then! Initially I fasted because of the generous amounts that were apportioned to us! We also had Mr.and Mrs. Gibson and their two children. They stayed at the back of the Bahai Center for about two years provided inspiration to the youths. I remember that they sponsored the food for youths who were going out to do mass teaching. The late Uncle Wong Kok Mee would also drop in at times and look after our needs. These are the kinds of Bahais the world needed and whom Bahais always needed! Another very important person who I had the privilege to meet was the Hand of the Cause of God, Mr. Enoch Olinga. After the Oceanic Conference in Singapore Enoch Olinga wen to Viet Nam and from there he flow into Kuala Lumpur in January 1971 unannounced. Immediately a meeting was arranged for him at the National Bahai Center on that evening itself! It was N.S.S. Silan who drove him from the Federal Hotel into the Bahai Center. He was such a simple person, always smiling and asking “Are you Happy?” When he came to the Bahai Center, we sang a song that someone had composed to welcome him. “Father of Victories we welcome you! Beloved Hands of God we welcome you! Father we welcome you.We the people of Malaysia welcome you…” I still have his autograph in my prayer book! At the National Convention of 1971 the late A. Govindasamy, late S. Ravichandran and I put up a sketch about the “Malaysian Dawn Breakers”, depicting some early Bahai’s in Malaysia. It was a story telling in the form of songs popularly known as “Katha kaalachebam” practiced for centuries in Tamilnadu. We dressed up in the dhoti and towel over our shoulders, and plastered our foreheads and hands with white powder, just like the Hindu priests. I had a bongo to make music. We had very quietly practiced the sketch late into the nights at the Haziratul Quds and not many knew what we were going to present. As we walked up on stage and sat down, we could hear a buzz in the audience. As we started to perform it became an instant hit and was simply hilarious! There was nothing but uncontrollable laughter and cheering! Govindasamy was the main narrator while Ravi and I provided the humour. We cheekily mimicked some of the early Baha’is such as Uncle Yankee Leong and Uncle K.Rajah. The audience was sporting enough and no one took take exception! That was the Baha’i spirit! Those present gave us a standing ovation! The memory is still fresh in my mind about the time when we were carried on the shoulders of some of our friends in a sort of ‘victory lap’! A presentation of that like that has not been done since. The same was repeated at the Youth Conference held at Wisma Belia at Kampong Pandan, Kuala Lumpur in December 1971. One day Inbum Chinniah called me and told me that he would like me to go and get a job. A job , he said would bring respect for the person! 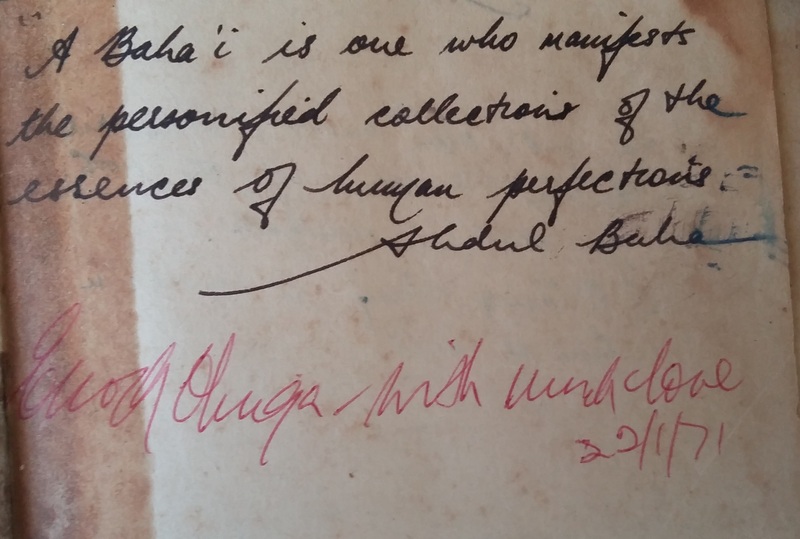 I have written more about Inbum in the book “A Jewel Among Men” by our Malaysian Bahai historian A. Manisegaran. So I sadly packed my bags and bid farewell to Kuala Lumpur and left for Port Dickson as I managed to get a job as a Security Guard at the Esso Refinery. When I recollect, all I can say is those were some of the golden days in Kuala Lumpur, a phase of bliss and joy in my life that would never return!